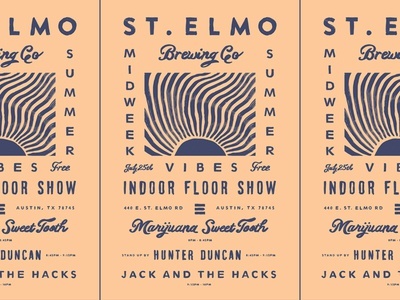 Floor Show Night II — Posters made for St. Elmo's ongoing indoor floor shows they're hosting this Summer, a project headed up by my wife and close buds. 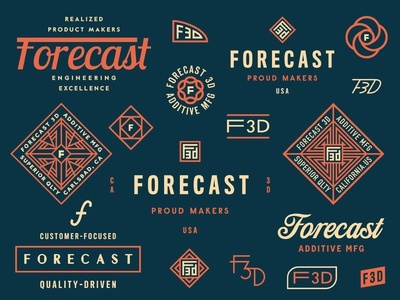 F3D — Here's a snippet from an extensive brand exploration for Forecast, a 3D printing and custom manufacturing firm in Carlsbad, CA. 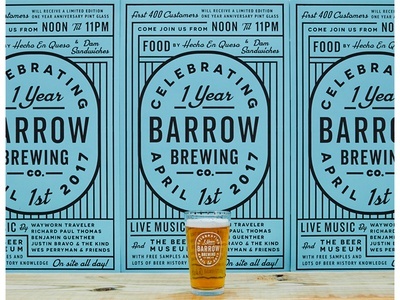 Barrow Turns 1 — Barrow Brewing Company will be hosting their 1 year anniversary at the brewery April 1st. Here's a snap of the commemorative pint glasses they'll be giving away at the event, along with the event's poster (screen-printed by Ramona Press). Thx to Hayden Spears for the photo too. 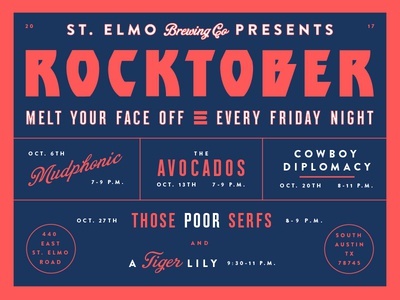 Rocktober — Work-in-progress poster for St. Elmo's upcoming Friday night showcase series next month. 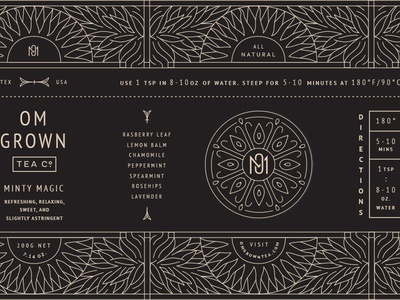 Om Grown Tea tin can — Here's a sneak at some of the package design that I've been working on with the help of my good buddy @Bryan B. Butler. 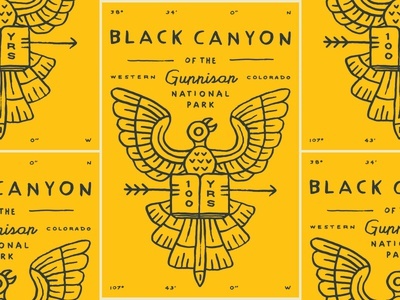 The artwork was initially rejected artwork from an old project, but we were able to revise it for this package design. 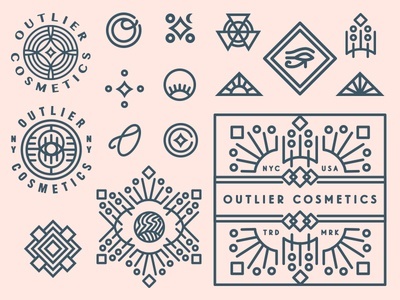 These will be printed on metallic tin cans that Om Grown will be producing for the upcoming tea line. 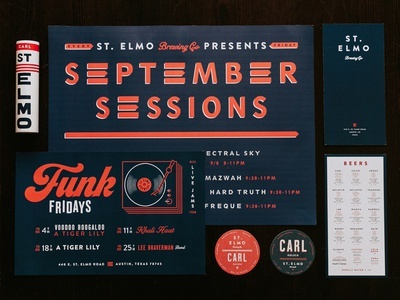 Very excited about these! 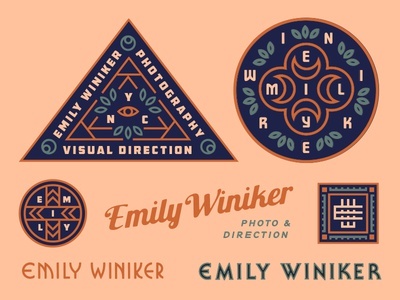 Emily Winiker — Proposed type and design exploration in the works for NY-based photographer and director Emily Winiker. 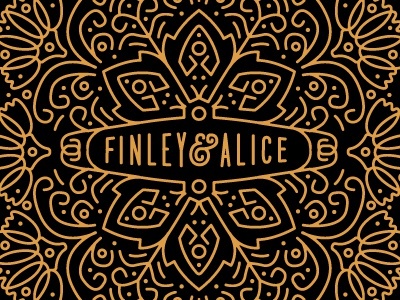 The two directions at the top would potentially be embroidered patch options to include on the cover of Emily's upcoming book of work. Feedback greatly welcomed! 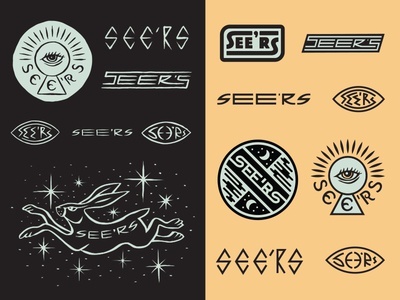 See'rs — The last few weeks I've had the opportunity to work with my dear friend @Simon Walker in developing an identity for See'rs. 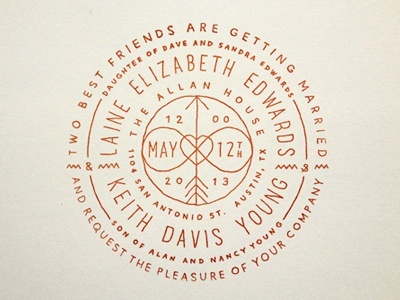 These directions unfortunately did not make the cut, but there's more to come soon! Check out the attachment for more detail, feedback greatly welcomed. 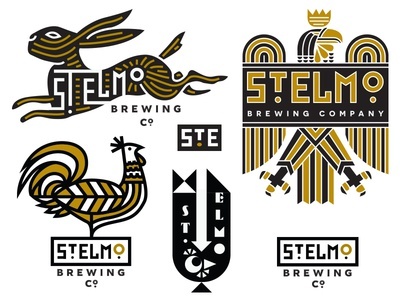 St. Elmo Brewery extras — Additional artwork from the St. Elmo Brewery design exploratory. Barrow Seasonal Beers — It's been a lot of fun collaborating with my good friend @Lauren Dickens on these seasonal beers for Barrow Brewing, available on beer shelves at a store near you. 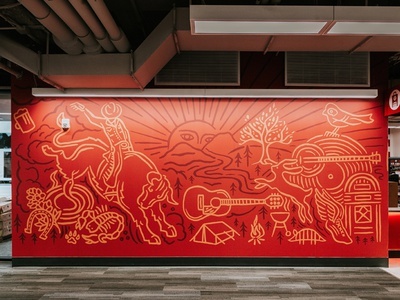 Thanks to Hayden Spears for the photo! 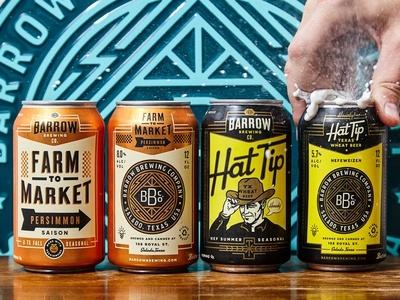 Hat Tip — The last couple of months I've been working on Barrow's new seasonal releases with my talented dear friends @Lauren Dickens and @Justin Esquivel. 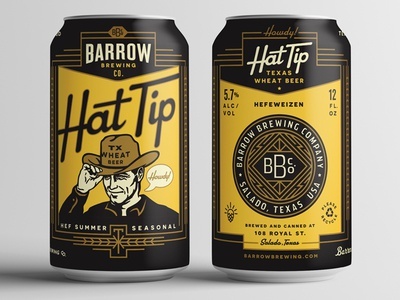 Hat Tip is the upcoming Hefeweizen that will be released this Summer, soon to be on the beer shelves in the coming months. 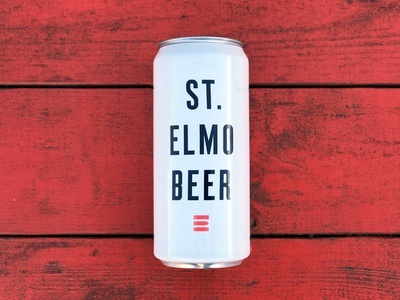 St. Elmo crowler — Tomorrow St. Elmo will be releasing their brand spankin' new 32oz crowler. 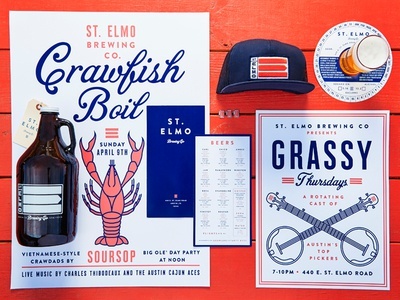 Now you can take any of the 16 fresh brews on tap home with you. Also check out the included attachment of the updated menu to view the current available beers. 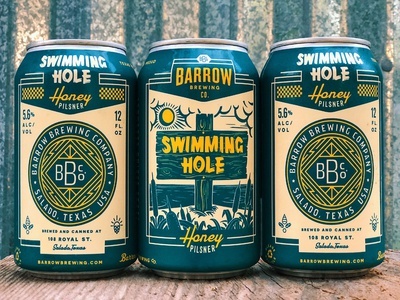 Swimming Hole — Recent collaboration with my bud Denton Watts on Barrow Brewing's new honey pilsner, “Swimming Hole”. 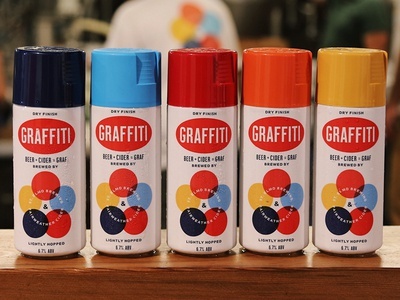 Just in time for Summer around the corner! 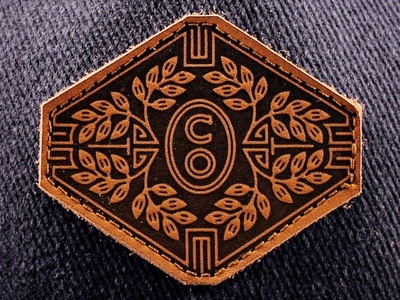 Clyde Oak 5 Panel — Here's a sneak peek of one of the new Clyde Oak products now available at http://clydeoak.com/. 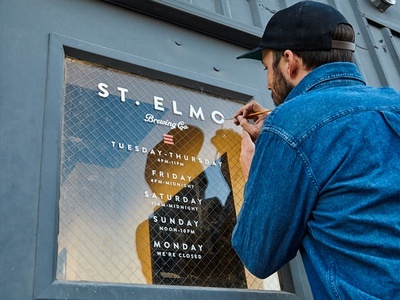 The 5 panels are made with brushed denim that includes a leather patch. 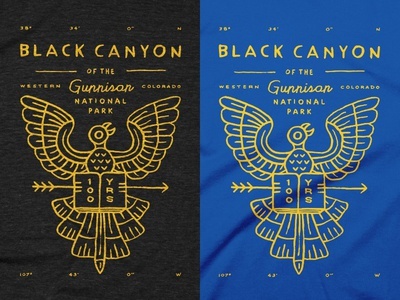 Very excited about these. 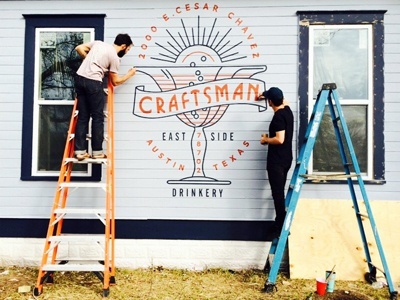 Craftsman bar signage — This past weekend I wrapped up the handpainted bar signage for Craftsman in between all the sxsw craziness. Huge thanks to Joe Swec, Seth Rosson, my wife, and my friends who stopped by to lend a hand. See attachments to view all three!